How much is my home worth? EXACTLY what somebody is willing to pay for it. The real answer to "how much is my home worth" is by actually listing it for sale. Everything else is just a guesstimate of varying degrees of accuracy and believability. So, how much IS your home worth? The short answer is that it's worth whatever a buyer is willing to pay for it. What someone is willing to pay for it. If listed for sale on the open market. Will depend on how well your home has been prepared for market, the marketing exposure it gets and whether you selected a competent Realtor or not. The prevailing market conditions at the time your list your home. And potentially on whether it's an all-cash offer or not. Obviously, putting your home on the market just to determine it's current market value is a little extreme. So, how can a homeowner find out how much their home is "worth"? And what are their limitations? The granddaddy of these is the infamous Zestimate from Zillow. Simply enter your address and within a few milliseconds, voila, up pops the current market value of your home. So easy and convenient, right? Easy and convenient it might be but it's about as reliable as the Seattle Marines making the playoffs! 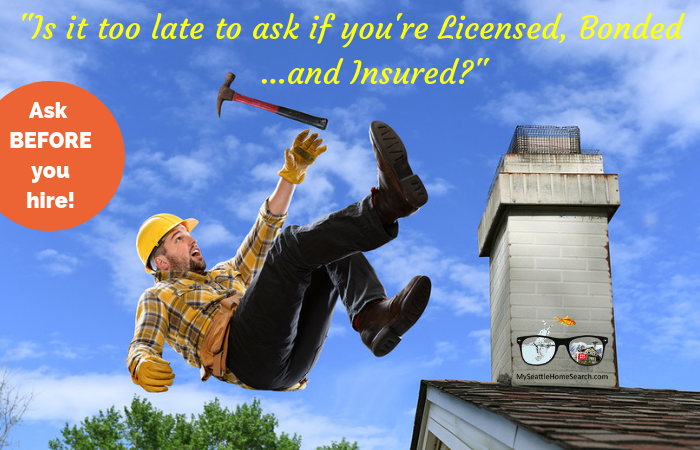 Why hiring a licensed, bonded and insured contractor is important. Need a new roof, a plumber in a hurry or that peeling exterior paint needs to be repainted? 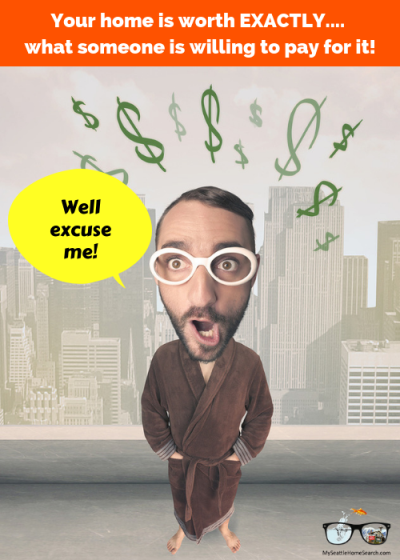 Many a homeowner will ask friends for a referral or be wooed by a "special discount" mailer and hire a contractor willy-nilly without ever checking them out fully. '"Joyce next door just loved Bob the Builder. That's good enough for me and my home!" Or you get 3 quotes for those crawl space repairs. Two of them are $4,000 but the 3rd one is only $2,500. Before you leap on #3, ask yourself why it's a lot lower than the other two. Besides obviously that big fat dollar number on the quote (you did get a quote didn't you? ), the most important things to do are (1) check out the company's reputation, ask for referrals and look for any current and past litigation against the company... and (2) determine whether the contractor or service provider is licensed, bonded and insured. Sure, Bob the Builder seems like a nice guy and even has his own TV series...but is he licensed, bonded and insured? What does licensed bonded and insured mean, and why are they important? In this case, we will be focusing on contractors and service providers that you might end up hiring during your course of owning your home. Let's start with the licensing requirements.